Outraged at what they see as local failure to adequately assist New Orleans rescue efforts, two San Franciscans pledged a fundraiser and volunteered Hurricane Katrina victim housing. 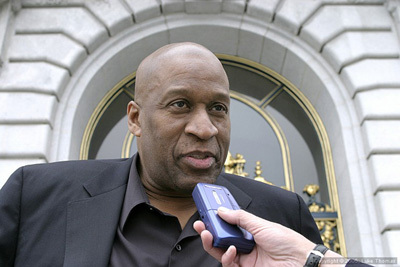 Joe Blue, a former candidate for District 5 supervisor and past Golden Gate Bridge District commissioner, announced the effort Friday in an 11:00 a.m. City Hall steps press conference. 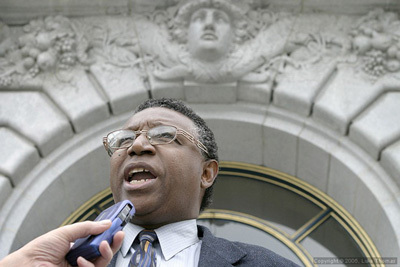 Dr. James Calloway, a past candidate for San Francisco School Board, joined in the call for San Franciscans to open local housing to New Orleans families. Calloway pointed to race and class New Orleans distinctions which may have played a role in federal slowness to help. Blue and Calloway will announce date and time of fundraiser later this week, Blue said.